Roy Hodgson has been confirmed as the new manager of Liverpool after the Merseyside club agreed compensation with Fulham. The 62-year-old takes over at Anfield on a three-year contract, less than a month after the departure of Rafael Benitez for Inter. It is believed Liverpool paid £2million to free the Englishman from his contract at Craven Cottage. Hodgson’s name had been linked with the England job but it’s no surprise that he was attracted to the Anfield hot seat. 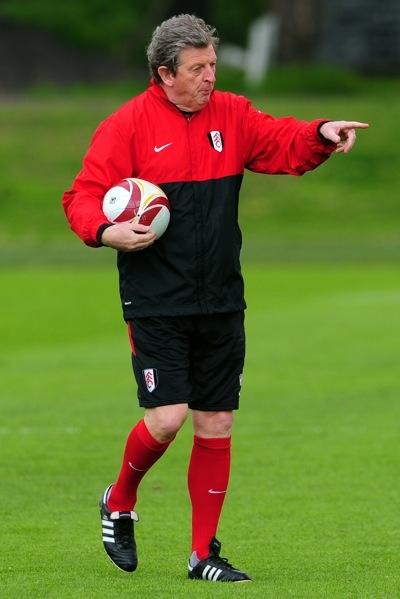 It’s a solid appointment for both Uncle Woy and Liverpool, even if it will surely halt Fulham’s momentum. With all the turmoil at Anfield though, mostly caused by the blasted Yanks, arresting Liverpool’s slide down the Prem table won’t be straightforward. Also, I can’t wait to see what Steven Gerrard and Fernando Torres do now. Liverpool fans, what do you make of the appointment? And Fulhams fans, I’d love to hear your thoughts too: do you expect to lose any star players from the Cottage, such as Brede Hangeland, Clint Dempsey, Zoltan Gera and Bobby Zamora? Good Luck Uncle Woy, and thanks for the memories. The greatest manager Fulham have ever had, even though he was only on the job for 2,5 years. yeah this is a pretty good move, it has ‘safe choice’ written all over it which is probably a good thing and it should work well. just as long as we quality for the CL, i think that’s just about all most liverpool fans want from next season. just glad is wasn’t sven, that nearly had me reaching for the scotch bottle. wouldve liked to see kenny back in charge but i think roy was a good choice. Hes got an eye for talent and hopefully he will spend his money wisely, unlike rafa.